I am looking at a utility type tilt trailer to take the 7 to track days and the like. Has anyone experience with this type of trailer. 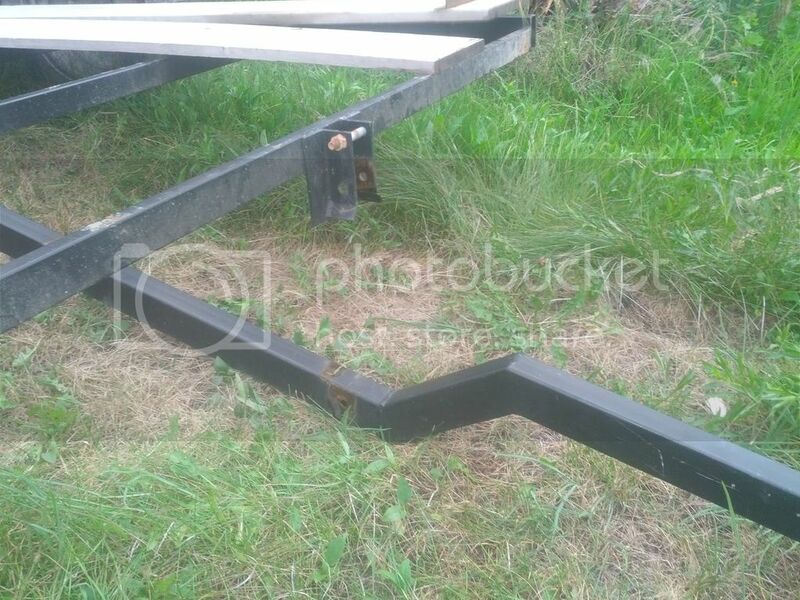 The problem I could see is that the weight of the front wheel would pivot the trailer too quickly, the leading edge of the trailer would hit the bottom the the chassis and you would be stuck. Maybe they just don't work that way. 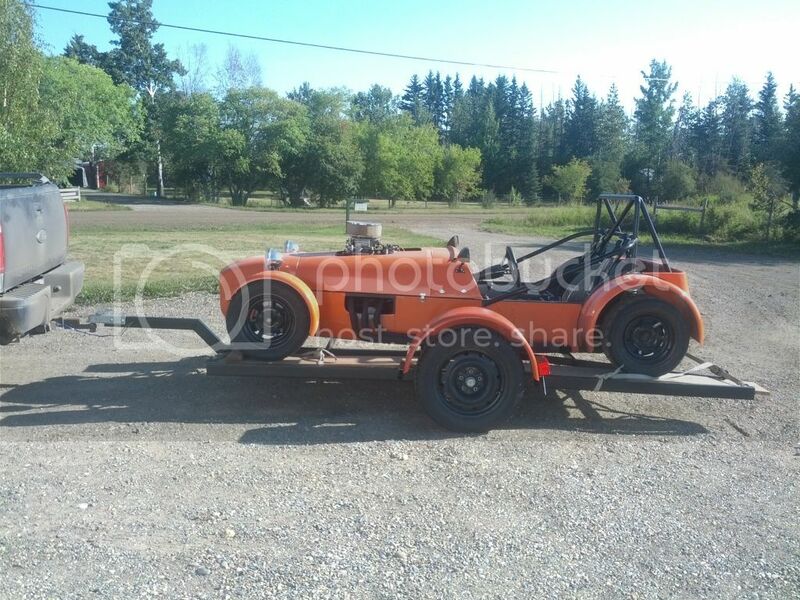 I have just added a link to the type of trailer I am looking at. I recently reconfigured my trailer to "tilt". After considering the risk you mention, I decided to control the tilt by jacking up the front to get the tilt angle I needed for a flat transition to the ramps while the car is still tied down. Then with blocks under the back of the deck it won't change as the car is being unloaded ( or loaded ). My initial design was to use a port-power hydraulic ram to raise the front. However, that was changed to a trailer jack since one was going to be added and it could double as the lift. Great idea, move the jack to the tilt portion and use it to stabilize the tilt. Great news, I can now buy one and have a solution. It all depends on where the pivot point is located. You don't want the front tire to cross the pin before the back tires are on the bed. I built my trailer so the pivot point is at the axle. The tongue actually just hinges under the trailer and the whole trailer tips up. I thought that the pivot point was going to be an issue and was going to mount an old coilover shock between the trailer deck and the tongue to stop the back of the trailer from hitting the bottom of the car, but I found that if I hit the trailer with a bit of speed (1st gear, not slipping the clutch at slightly over idle), the back tires are on the deck before anything hits. The trailer tips forward just before the front tires hit the stops. The trailer is light enough to not need a jack, even with the car on it. Do you have a picture of it in that position? I didn't, but I had to put tires on it eventually, so I took a few tonight. First is the tongue pivot under the trailer. I used a 3/4" stud from a piping flange with nuts on bith sides. 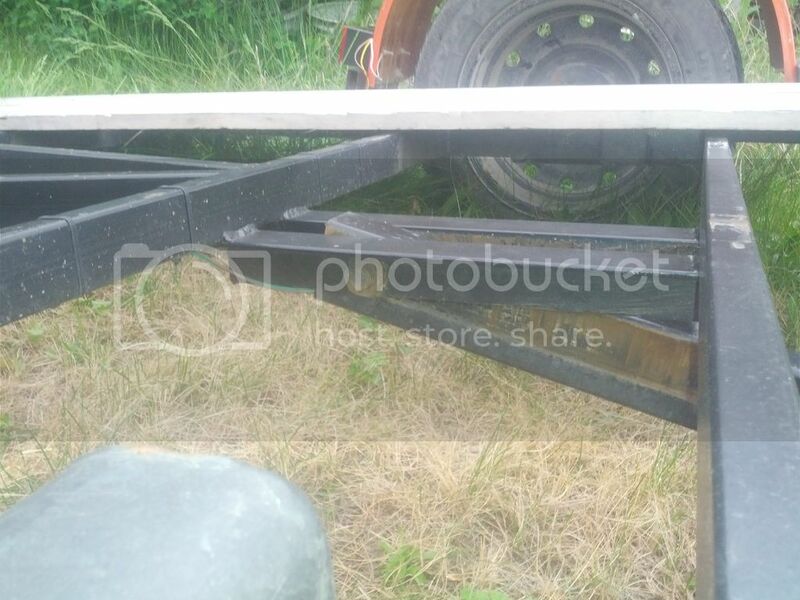 The 2"x1/4" angle is welded to the trailer and tjeres a fair bit of friction in the pivot. At the front of the deck I have more angle iron and just used a 1/2" hitch pin to hold it down to the tongue. I did forget to put the pin in one time but the weight of the car held the front down just fine. 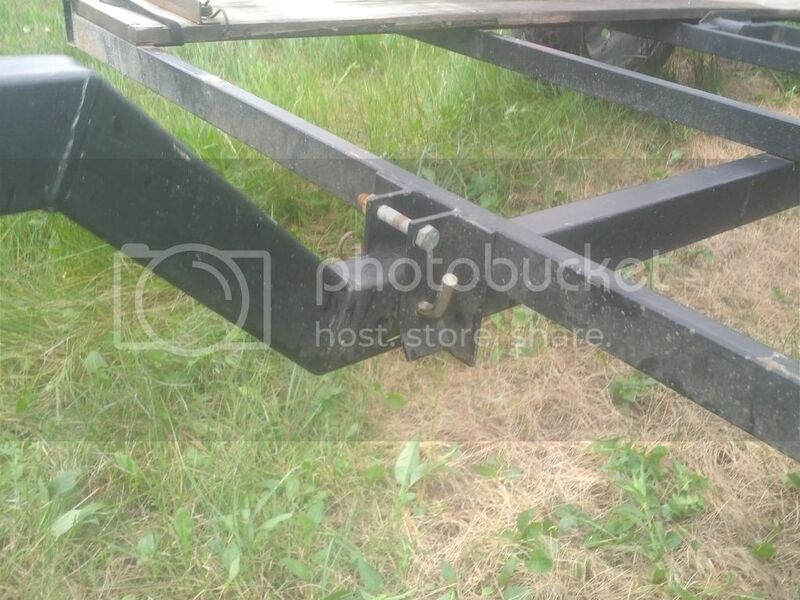 The 3/4" pivot and the 1/2" pin are all that hold the trailer and tongue together. Here's what it looks like connected. The upper bolt is from when I was trying to figure out a shock mount. I left it there as another tie down when I'm using the trailer for hauling motorcycles. And here's the deck. I left the center open at the back for clearance with the nose cone. The last 1"x2" cross tube is sideways to get the deck boards closer to the ground, and the deck boards also extend 6" past that, so I can basically load anything that can clear a 1" lip. And it's easy to tilt, even for a little kid, so it's really easy to pick up the tongue and move the trailer around by hand when empty. Even with my locost on it, there's only about 100-120lbs on the tongue. The cross members and diagonals are 1"x2"x.125" wall, the main rails are 1.5"x3"x.125" wall and the tongue is 2"x3"x.125" wall. I used torsion flex axles and notched the frame rails to get the trailer as low as possible, it's only about 3/4" - 1" above the center of the tire. I used relatively tall tires because I had them, they're the winter wheels and tires from my wife's car. Thanks, very useful. A very simple and elegant design. It does the job for me. It was handy for moving too, we hauled several loads with it and it tows really nice, even behind a car. 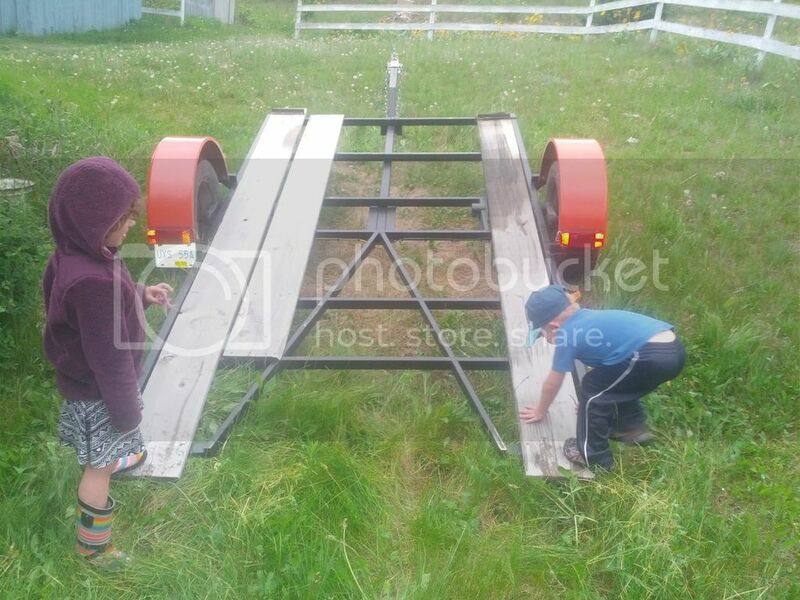 I looked at buying a smallme trailer, but couldnt find anything comercially available that was what I wanted. 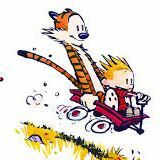 Around here a small utility trailer is about $1000 new, and I'm not into mine for more than that. I do want to eventually put plywood on the deck, the boards were just some scraps from shipping crates and aren't very good. That's one cool trailer. What are the materials (tube dimensions and wall thicknesses) you built it from? Thanks. I used 1"x2", 1.5"x3", and 2"x3" tubing, all .125" wall. If I was going to do it again I would have the pivot for the tongue closer to the front of the trailer, that way a shock absorber could be used for the tilt mechanism without having to use a really long travel shock because the gap between the tongue and frame when tilted would be a lot less. The coil over I was going to use would also work much better if I add another set of diagonals. As it is the front cross tube got pushed back and I couldn't put the pin in to lock the trailer. I might add more diagonals and revisit the coil over idea again. The side rails could also be a bit stiffer. My axles are rated for 3500lbs, but I don't think I'd want to put that much on it. With doubled or trussed side rails it wouldn't be an issue though.